Private parties & corporate events. The commercial grade cook top can cook up to 300 sausages at time, while the two Icy Tech boxs can hold 400 x 375ml cans. Hire price includes 8.5KG LPG. The commercial grade cook top can cook up to 300 sausages at a time, while the 2 Icytech ice boxes can cool up to 15 slabs with ice. An umbrella is also supplied to shade the unit on hot days. 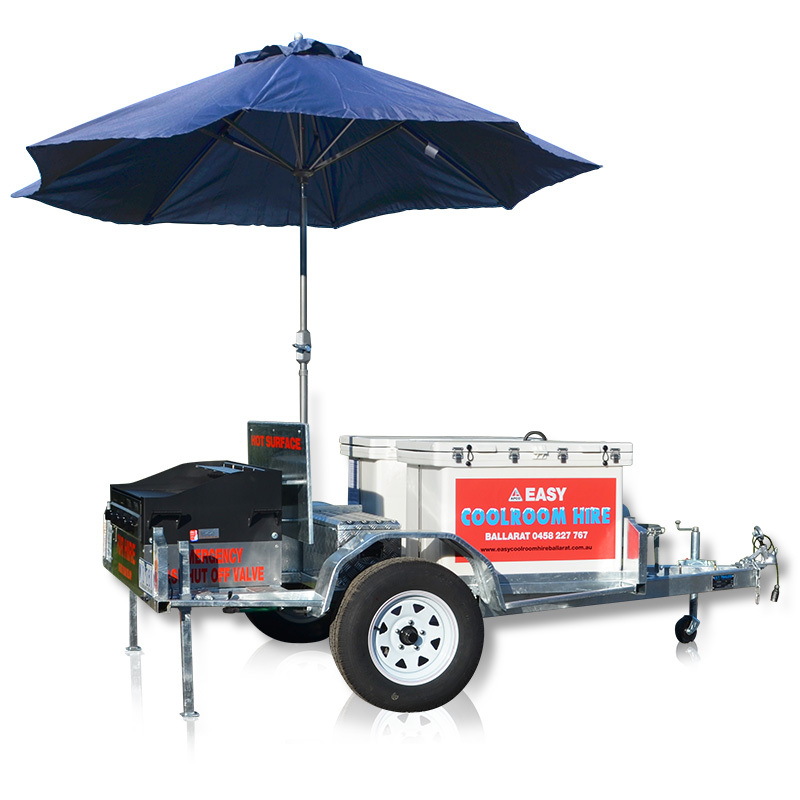 For your safety, The BBQ trailer is certified by Energy Safe Victoria, comes supplied with a fire extinguisher and is equipped with easy to use emergency gas shut off valves. The price includes 8.5 Kg of gas but extra gas can be supplied. Bulk ice is also available.